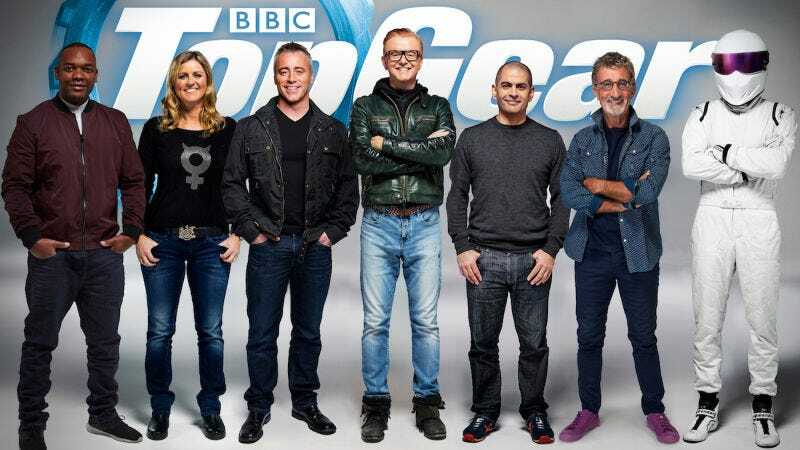 Top Gear, the upcoming BBC program that will definitely not be a complete calamity, has encountered a few incidents of late. Rumors about power struggles, creative control, and a general shitshow have plagued pre-production. In response, the BBC has appointed a sheriff who will keep everyone’s asses in line. A BBC spokesman said: “Clare is an experienced head of department whose credits include big must-see events such as Children in Need and Sport Relief. Usually the person overseeing the show is called executive producer and one was appointed last year, Lisa Clark, but she left after differences of opinion with Evans and the team. Pizey’s title of editorial lead will replace the role of executive producer. The new show stars Evans at the top, with additional hosts Joey Tribbiani and former Formula One team owner Eddie Jordan on a tier reportedly below him. Below them will be friend of Jalopnik Chris Harris, Nurburgring person Sabine Schmitz, and Internet video person Rory Reid. And, of course, the Stig. Sounds like it’ll be interesting at the very least!